If You Love Affordable POWER & SPEED You Will LOVE The 2015 C7 Corvette Z06! For many people it is a life long dream to own a car as powerful as the mighty Ferrari, but unfortunately the price tag holds a lot of us back. 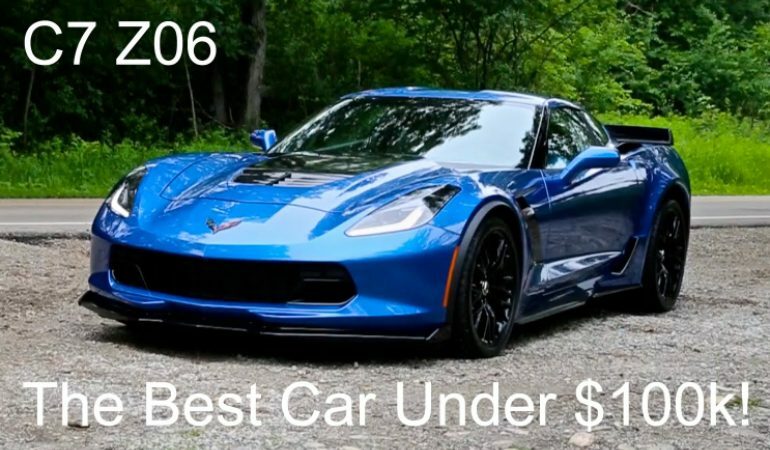 More recently though the team at Chevrolet created an incredible vehicle with as much power as the Ferrari and a much more reasonable price tag. The 2015 C7 Corvette Z06 is brilliant in all ways and is more than enough power to quench any car enthusiast thirst for speed. Equipped with a 6.2L V8 supercharged LT4 that produces 650Hp and mean exterior that looks as dangerous on the street as it is, this incredible Z06 only runs for a little under 80,000 dollars. Click the video below to check out the magnificent vehicle in all it’s glory! Ypu are sure to not be disappointed. Jurassic Park Movie RV Restored!